Connect your tablet to your TV with this 1.5m micro HDMI to HDMI cable. HDMI high speed with Ethernet certified. 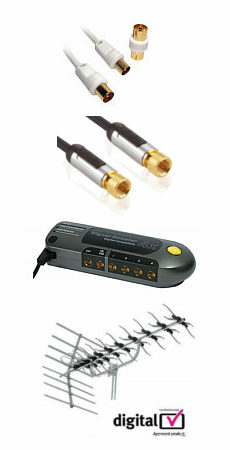 Ideal for use with a camera or camcorder or mobile phone with a micro D HDMI connector. 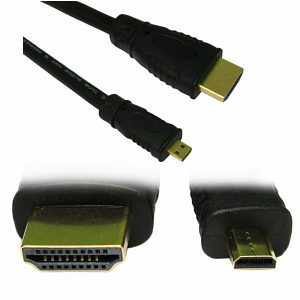 3m Micro HDMI to HDMI Cable. Connect your tablet to your TV with this 3m micro HDMI cable. Connectors: HDMI male type A to HDMI micro HDMI male type D. HDMI high speed Certified for v1.4 and v2.0 4k x 2k Resolution Support. Supports Audio Return Channel. Supports 3D over HDMI. CE Approved. RoHS Approved.